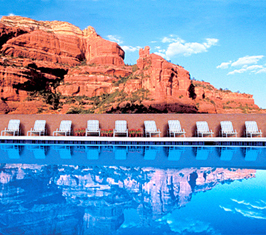 For the family seeking more than just a trip to an amusement park or camp ground for a vacation, there’s Enchantment Resort in Sedona, Arizona. The family-friendly resort was recently named one of the best hotels for families for Travel + Leisure’s September issue. Located near the Grand Canyon, families can book Jeep tours and hiking and plenty of outdoor adventures the resort offers, including swimming, mountain-biking, playing croquet, pitch & putt golf and tennis. The resort’s Camp Coyote program offers children the opportunity to go on nature walks, pottery sculpting, star gazing, obstacle courses, scavenger hunts and painting. The resort’s family package offers three or more nights and includes breakfast for four each morning and spa service for adults. Packages start from $803 per night. For reservations, please call 1-800-826-4180, or visit www.enchantmentresort.com. Fancy the idea of being transported to a lush Mexican resort? You won’t have to hop on a plane, because just a smidgen past Orange County lies Long Beach’s newest waterfront addition: Hotel Maya. Boasting spectacular panoramic views of downtown Long Beach and the iconic Queen Mary, the four-star hotel hails from Joie de Vivre’s sleek line of boutique hotels and embodies a mix of Latin American charm, a bit of hot Miami glamour and SoCal’s casual and modern vibe. Even better? Prices for rooms start at a reasonable $139. Formerly Coast Long Beach, the hotel recently underwent a multi-million dollar transformation into a tropical destination featuring sprawling balconies and patios with bay or skyline views and spacious rooms decked out in warm, Latin American-influenced decor. Grab your girlfriends or a date for sophisticated cocktails or Sunday brunch at Fuego, Hotel Maya’s waterfront restaurant and bar featuring coastal Mexican and Latin American cuisine—and seriously, trust us on that gorgeous view. Hotel Maya is at 700 Queensway Drive, Long Beach, CA 90802, adjacent to the Queen Mary and Carnival Cruise Line terminal and within minutes of downtown Long Beach, the Long Beach Convention Center, and the Aquarium of the Pacific. 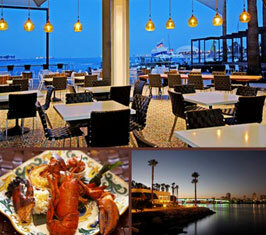 For reservations, call 562.453.3675.